Whether old, or newly designed; village halls and community centres often have severe acoustic issues related to design. Traditionally, these spaces were used for theatre, oratory performances, and community meetings. As these spaces were refurbished with time, absorptive materials such as curtains and carpet were replaced with hard, reflective surfaces that are easily cleaned – such as hard wooden floors. The multi-purpose nature of village halls, however, expanded to include activities such as yoga, concerts and fetes. This meant that these spaces were not able to be tailored in design to each of these activities, and the open, hollow nature of halls remains. The result is usually poor village hall acoustics – high reverberation times compounded by large social gatherings; creating hollow echo chambers. Absorptive materials such as curtains and carpet in old village halls have been replaced over time with modern extensions with an emphasis on hard and easy-to-clean surfaces such as hard floor and concrete blocks. Nowadays, the majority of surfaces in village halls are hard, reverberant surfaces – plasterboard, glass, concrete and metal cladding. Hard surfaces mean that up to 95% of noise reverberates around the room. Reverberation time in village halls is often around 4 seconds or more – Resonics recommends a reverbeation time of less than 1.5 seconds for good speech intelligibility in village halls. As gathering spaces, the acoustics in village halls also suffer from large crowds that amplify reverberant noise in rooms. This effectively creates an echo chamber – with words being lost and music and films losing auditory clarity. This village hall in Kent shows the typically hard surfaces that dominate modern village halls. 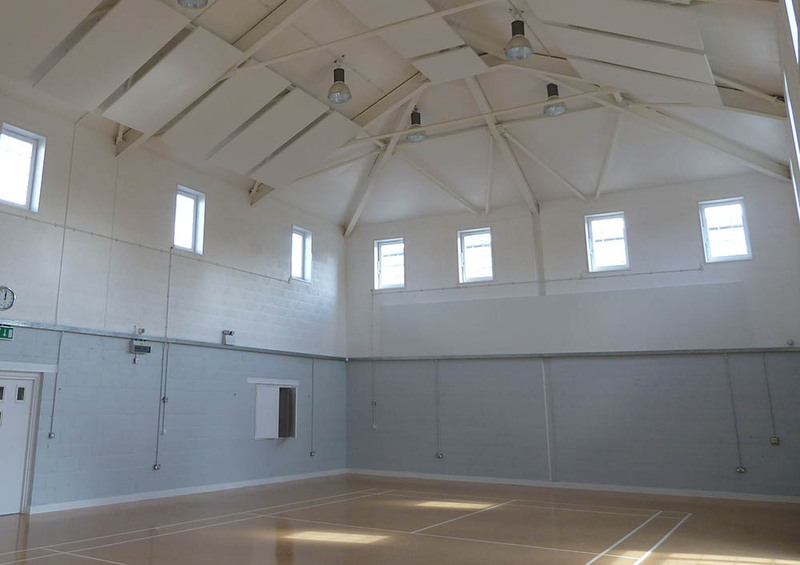 Modern village halls are multi-use spaces; meaning their building design will never be acoustically suitable for various activities. 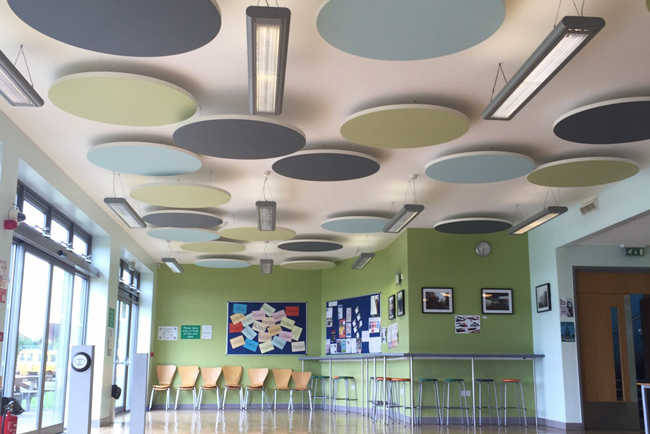 We offer straight-forward acoustic solutions that create a comfortable sound environment for a range of activities. 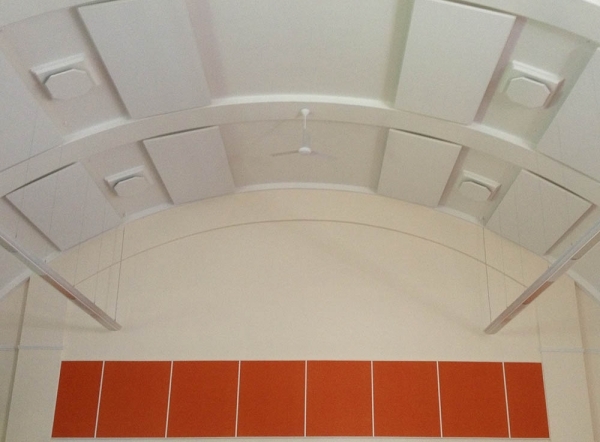 We understands that village halls are often community-run and that any acoustic solution must be cost-effective. 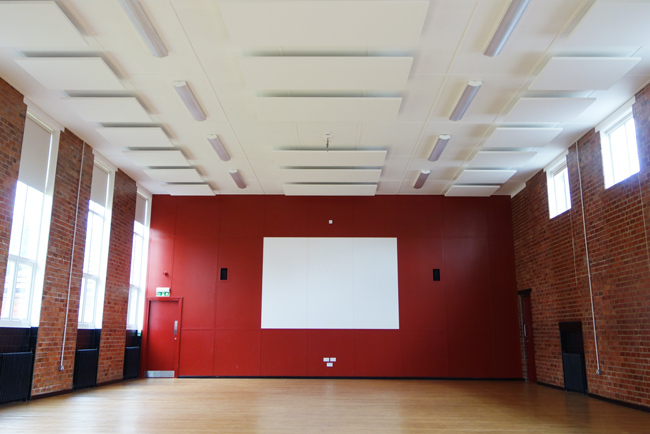 Village hall acoustic panel solutions are tailored to meet almost any budget.As a space able to be hired out for various events, village halls are often a source of income for the local community. We offer a range of installations that can add to the aesthetics of the existing space, or that came remain anonymous in the space and not pose a physical or visual impediment. 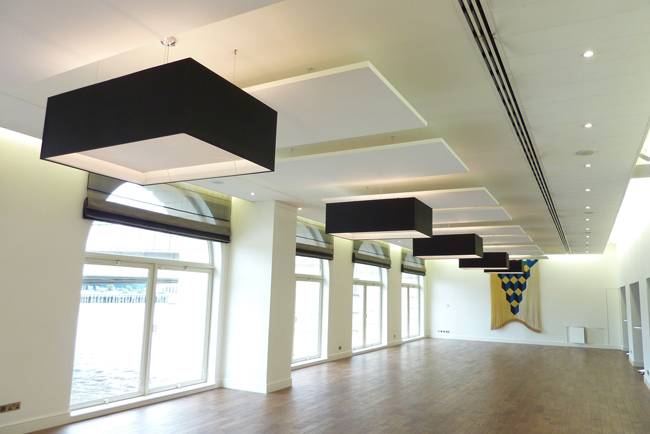 Hall acoustic panels can create acoustic comfort for any hall space while remaining visually discreet.